An engineer's hands tell a story that is 65 years long, in just a few seconds. The hands chronologically display the evolution of Honda's engineering through its 65-year history through animated twists and turns, carefully weaving and transforming from one mode of invention to the next. Starting with awesome heritage products like the 2RC143 bike, it leads onto current products like the 2013 Honda TT Legends Fireblade and the HB25 leafblower. 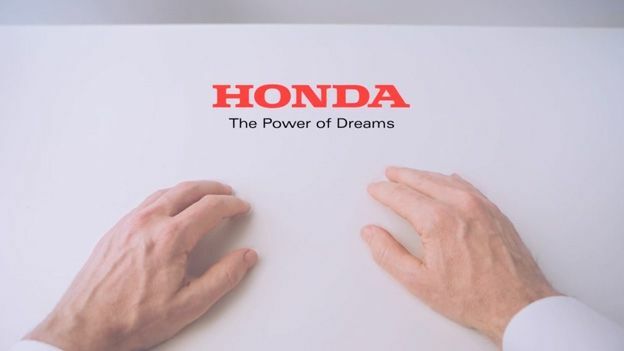 The superb new viral Honda 'Hands' advert has clocked up more than 2.6m views on YouTube in only a few days, since its recent launch. It's a mesmerising, semi-wordless piece that translates well no matter of region or location you're from, and effortlessly celebrates the innovative spirit that has made Honda the largest engine manufacturer and racing company in the world since its founding in 1948. The video, produced by agency Wieden + Kennedy, follows the point-of-view angle of an engineer's hands. There's homage paid to the pioneering Honda technologies like the 2015 NSX concept, the FCX Clarity car, which emits nothing but water (duly exemplified by the ad's engineer taking a drink of water from the glass it's poured into) as well asHonda's first production NSX from 1990, the road sports car Honda developed in collaboration with Ayrton Senna.